Derek Scarlino and Brendan Dunn will give a talk and lead a discussion about the events in the fight against ISIS in Kobane, Syria, and the Kurdish social revolution. The Kurds are a people who have for years been denied a nation to call their own and have been occupied by the Ottomans, British, Americans, Iran, Iraq, Syria, and Turkey. While Syria has been ripped apart by a tragic civil war since 2011, a number of Kurdish towns in the Northern part of Syria carved out their own autonomous cantons where they have created a social revolution rooted in concepts of feminism, mutual aid, cooperation and participatory democracy. 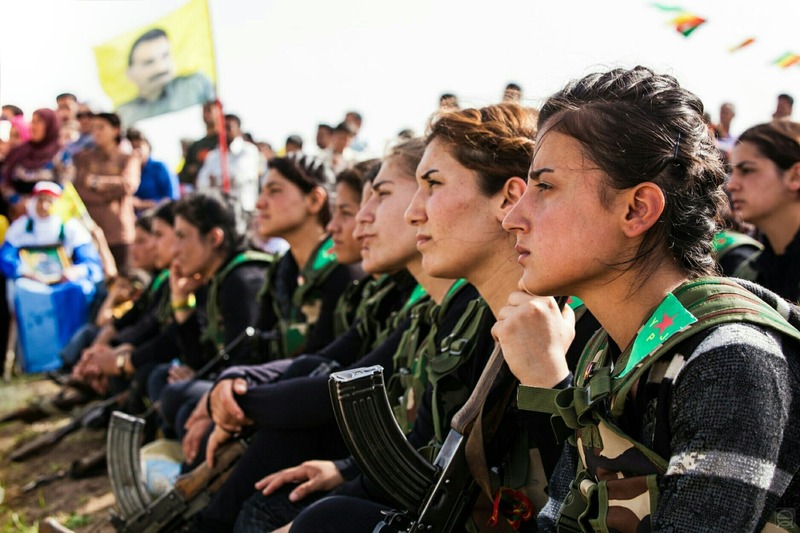 It is here where women have taken the lead in the fight against ISIS and have successfully beat them back. It is here where the PKK, the anarchist Kurdish Workers’ Party, has carved out an alternative to the systems envisioned by Islamic fundamentalists, authoritarian states and the Capitalist West. It is a system that many would call anarchist in nature and in practice. There will be an open discussion in class about what we can learn from the Kurdish revolution. Class starts at 7. Dinner will be served at 6:30. The Mohawk Valley Freedom School is held every Thursday at the Cornerstone Community Church at 500 Plant Street in Utica. Classes are from 7:00-8:30pm with a free dinner at 6:30pm. Please contact 732-2382 or mvfreedomschool@gmail.com.